Cleaning can come with many tricky tasks. That’s when you may find yourself asking what can you do or what you can implement that helps you move through these tasks more effortlessly. We all know Airbnb has a turn time. Efficient cleaning is not just needed it’s necessary. So, the question to your magic tool might be a little bit easier to answer than you imagined. It’s as simple as the V word, Vacuum! Vacuums are one of the most important things to have as a cleaner, as a property owner, and as a guest. All the ways you can use this tool surely could never be listed. There might always be a new way to use one, or new area to use it in. That is why stressing the importance of a good working vacuum is necessary upon listing your Airbnb or Vrbo property live. When you have a proper working machine you will notice things go a lot smoother for you and your work. You also always want to remember that anything can happen. 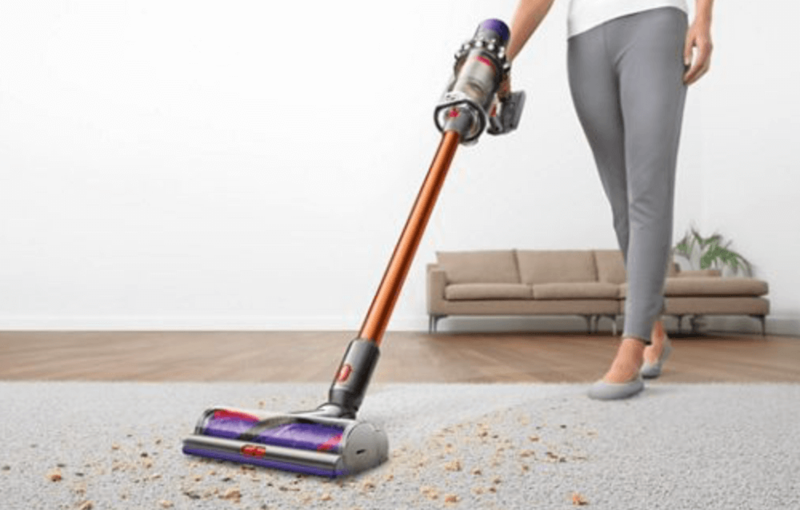 If your cleaners’ vacuum breaks while she is on the job and there is a check in that day, not having a vacuum may really impair the quality of the work completed. The first thing you need to know is there has to be a hose. This can’t be just any hose it needs to be a good suction hose that has attachments for stairs, which you can also use on furniture. It also needs a small thin attachment for hard to reach crack like areas. It’s important to make sure it has two options, one for hardwood floors and one for carpet also known as the “brushroll” option. Your Airbnb guest will also thank you for having a nice working vacuum in case they make a spill, or drop the birdseed from the wedding they were just in town for. Now that you know what makes a vacuum, a great one. You need to know the tips of vacuuming. Where can the vacuum be used that one may not think to use it? Alas, we find ourselves in the bathroom. The bathroom is the trickiest place to get clean, the stray hairs can seem never ending. That is why we bring in the trusty ol’ vacuum. Upon cleaning an Airbnb bathroom it is smart to bring in your vacuum, hose ready and get crazy in there. Use the hose to vacuum out the shower/bathtub and if it’s wet- dry it first with an used towel or one of your cleaning towels. That way you can vacuum all the hair and any debris. Other than the shower, the small trash can that most Airbnb bathrooms contain, inside the drawers where you store the hair dryer and inside the medicine cabinet all normally need a good vacuum. This is such a simple task, yet so often missed due to the lack of proper equipment. Where else can we use this tool regularly you ask? The kitchen! It’s like the kitchen was made for a vacuum. Your main thought would be the floors, but it’s really the refrigerators on Airbnb properties that gain crumbs. There is so much constantly moving in and out, it’s smart to always vacuum out the fridge. This task is so much more simple than trying to wipe the crumbs out of a drawer. Think about it, the vacuum could now just be your new best cleaning buddy. Work smarter not harder and invest in a good vacuum. You get what you pay for in this department, definitely make sure to do your research. Last tip is to find a good vacuum service store where you can have your equipment serviced regularly. Whether you are a cleaner, property manager, or property owner, you will not regret it.